The beautiful Macdonald Cardrona Hotel and Spa in Peebles was the stunning setting for our event and with landscape views of the Scottish borders magnificent munros as the back drop, it was only fitting that we delivered our famous Highland Games experience. 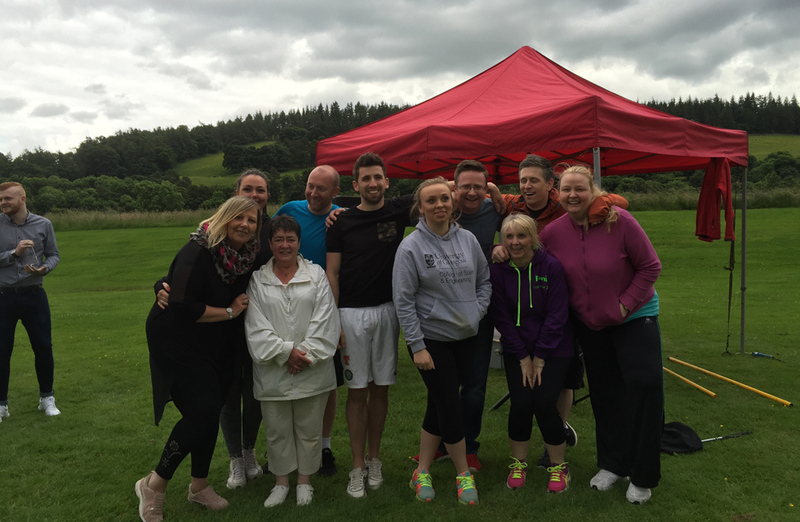 The venue was beautiful, the haggis had been caught and now it was time to welcome the teams from Manor View Hotels. 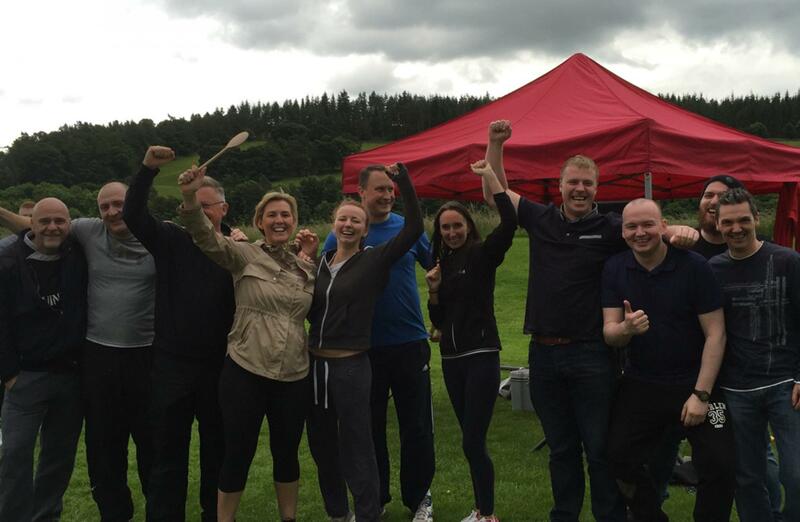 The only thing that mattered from the moment when the teams walked out onto the back lawn was getting to lift the Team Challenge Company Winners Trophy. 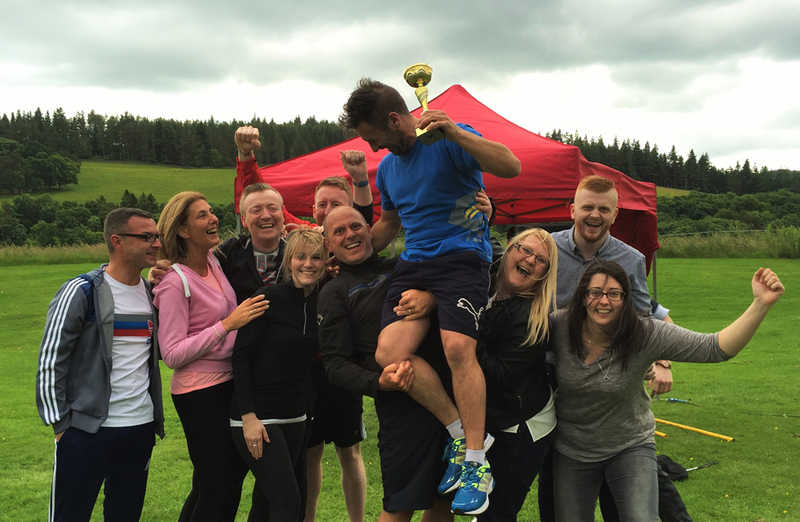 We had some of Scotland’s finest Highland Game’s to make sure only the worthy went to the bar with the trophy. First waiting for everyone was our fast paced, heart pumping Warm Up delivered in Team Challenge Company’s unique style, with lots of Beyoncé moves and star jumps that a cast member of Flashdance would be proud of. 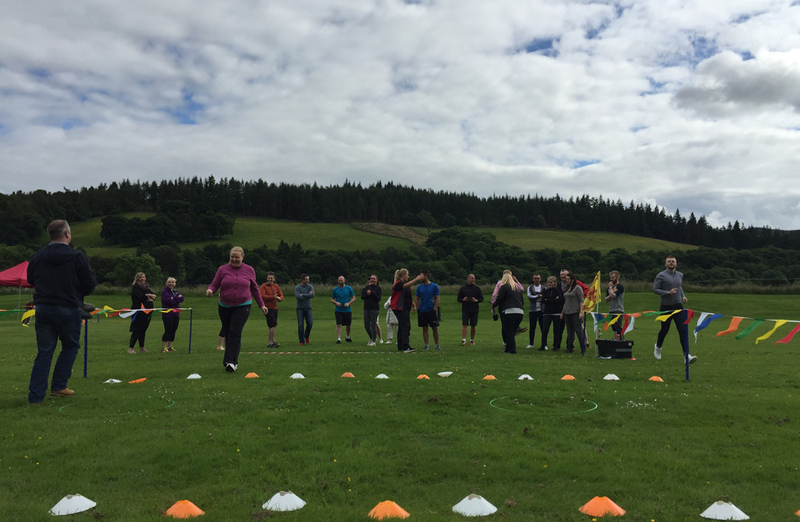 With dedicated instructors and time for a safety briefing, we were ready to start the first challenges to try and gain as many points as possible. 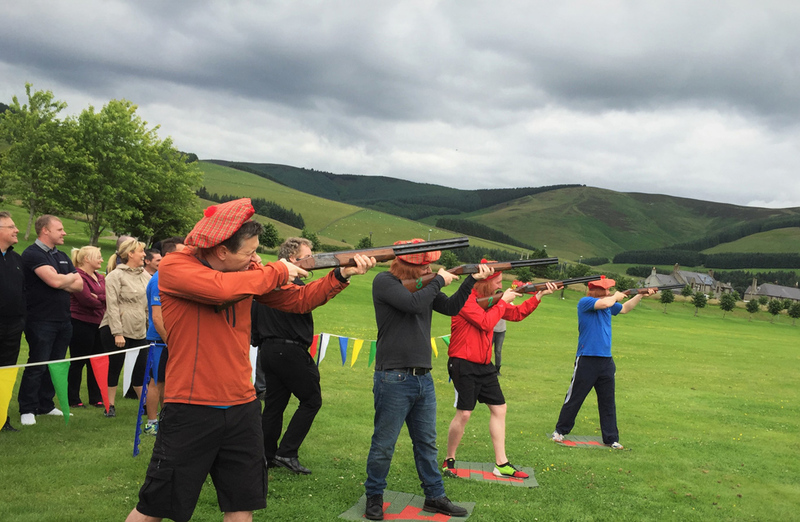 In store for the teams were our handpicked favorites of Toss the Caber, Haggis Roll, Welly Throw, Fly Fishing and a competitive finale of Laser Clay Pigeon Shooting. 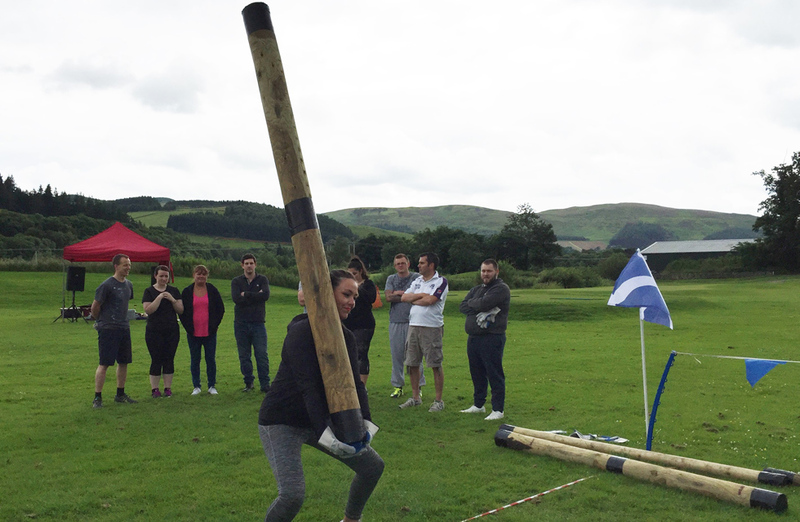 There was some trepidation on Toss the Caber but after the first fling they were hooked and were left wanting to compete at every highland game in Scotland. Excitement was pushed to the limit when our countdown timer started for the Welly Throw. 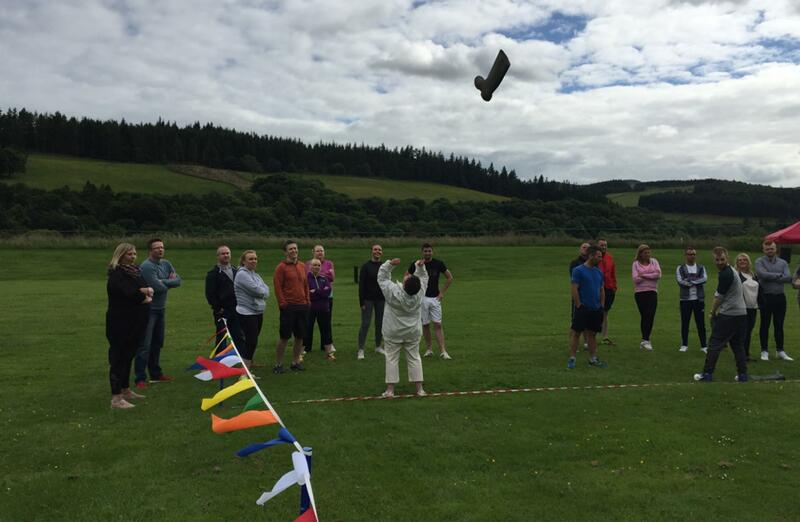 We had some of the best welly throwers we have ever seen, with skills that made it look like an Olympic sport. 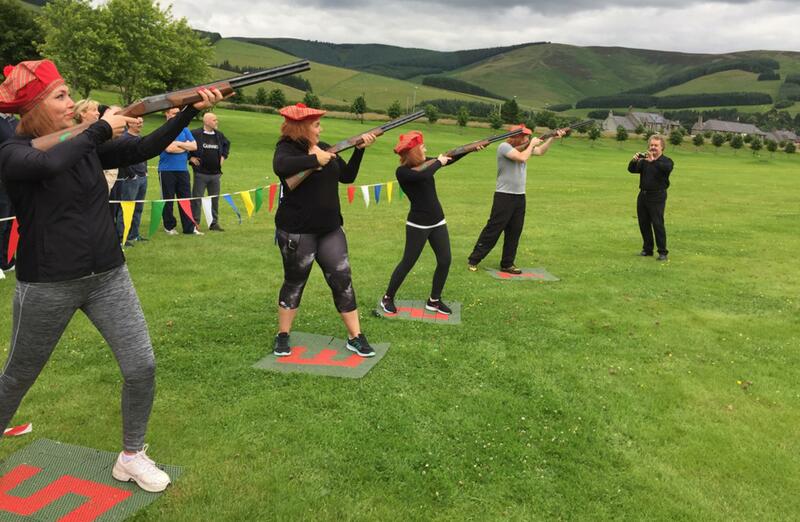 Our freshly caught Haggis was ready to be rolled as the teams had to use accuracy and concentration to score and our Fly Fishing (no real fish are used) brought the best encouragement and cheering to the group. 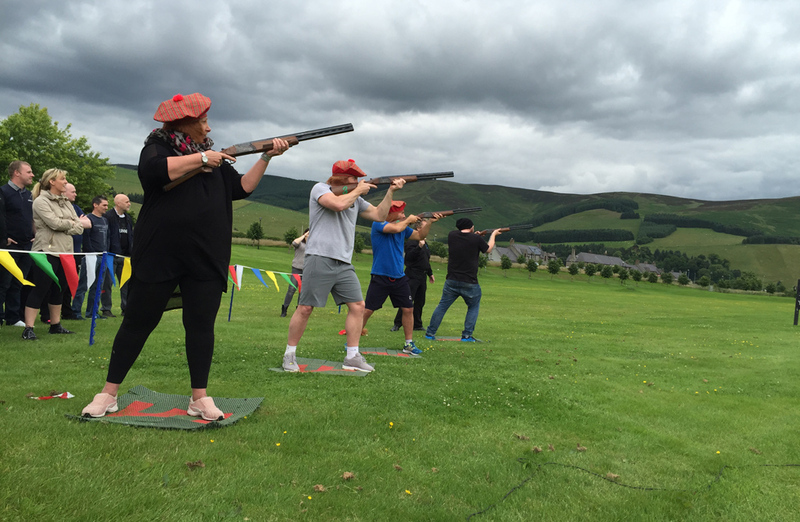 It was soon time for the finale of Laser Clay Pigeon Shooting as a member form each team took their stance and we were ready to count up the final scores and announce our winner. 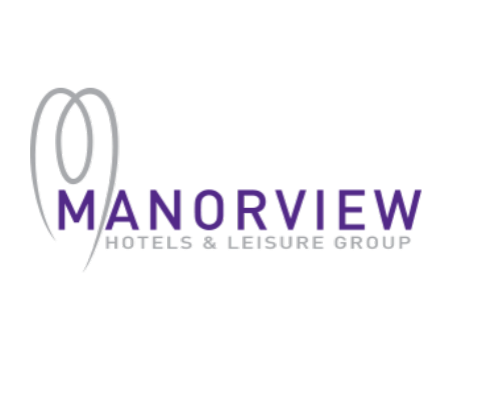 It was an amazing event with such an amazing team of people and we were delighted to keep the Manor View Hotels team entertained. 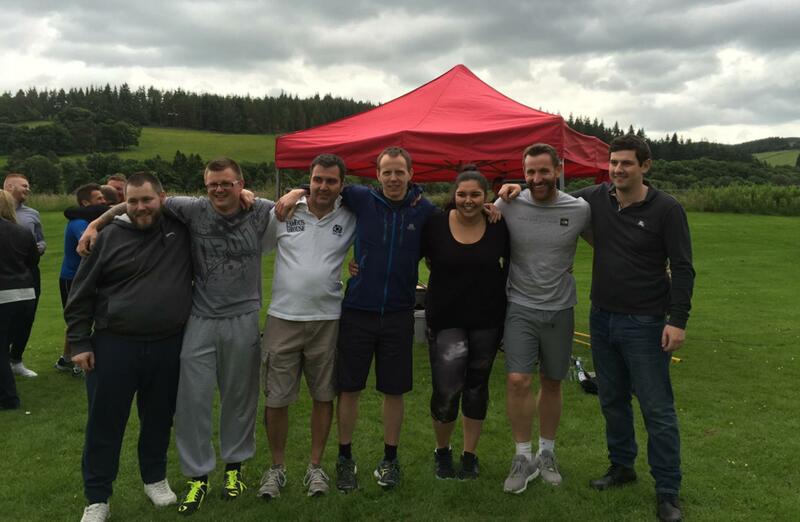 Our team can’t wait to see you at an event in the future.